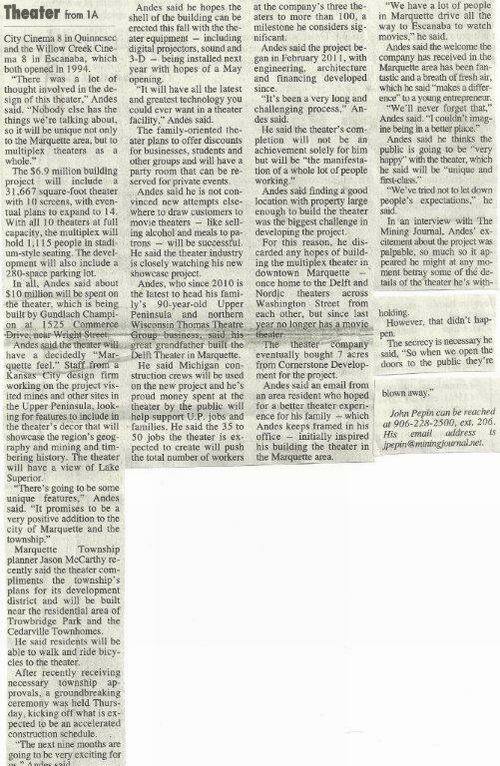 MARQUETTE -- Thomas Theatre Group owners broke ground on Thursday for their new theater in Marquette Township. The theater owners, their families, and Marquette Township officials came to together to celebrate the event, marking the nearly $10 million project that is planned to be finished by next summer. The theater will have 10 screens and a state-of-the-art facility that will employ 35 to 50 people, according to officials. Thomas Theatre Group is locally owned and will sell local products in concessions, according to group president Thomas Andes. You'll have a first class facility that will bring interest from people who want to come and look and hopefully see a good movie and buy some popcorn and soda from us, said Andes. 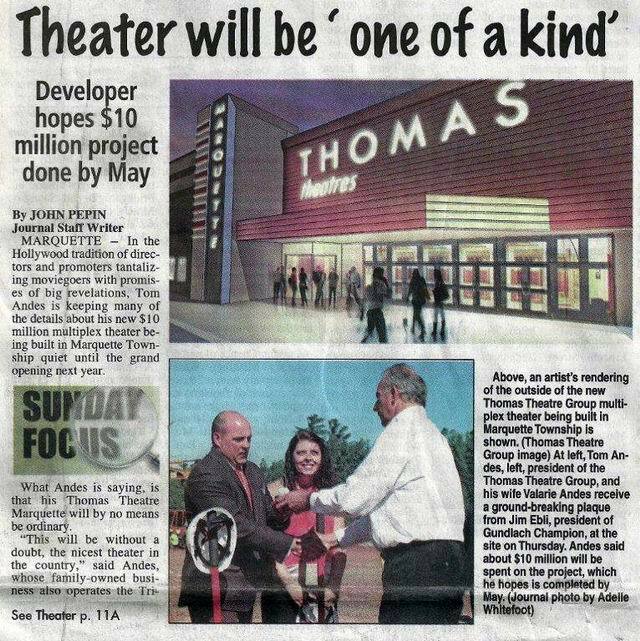 The Thomas Theatre Group also operates theaters in Quinnesec and Escanaba.